^ 1.0 1.1 1.2 中央氣象局地震報告. 中央氣象局地震測報中心. [2017-05-16] （中文（台灣）‎）. ^ 生活中心. 快訊／台東外海發生規模6地震　綠島5級全台有感晃好久. ETtoday東森新聞雲. 2016-10-06 [2016-10-09] （中文（台灣）‎）. ^ 甘芝萁. 6日深夜規模6地震 氣象局：今年釋放能量已超過. 自由時報. 2016-10-07 [2016-10-09] （中文（台灣）‎）. ^ Committee on Education & Outreach, Taiwan Earthquake Research Center. 2016-10-06 ML6.0 台灣東部海域地震 (PDF). 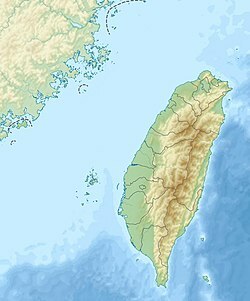 台灣地震科學中心. 2016-10-07 [2017-05-16] （中文（台灣）‎）. ^ 陳葦庭. 地震深夜搖全台 規模6.0最大震度綠島5級. 中央社. 2016-10-07 [2017-05-16] （中文（台灣）‎）. ^ 劉人瑋. 【地震片】深夜6級地震來襲　綠島小7變這樣. 台灣蘋果日報. 2016-10-07 [2017-05-16] （中文（台灣）‎）. ^ 楊德宜. 昨深夜地震 台鐵統計影響2列71分60人. 聯合報. 2016-10-07 [2017-05-18] （中文（台灣）‎）. This page is based on the Wikipedia article 2016年10月台東地震; it is used under the Creative Commons Attribution-ShareAlike 3.0 Unported License (CC-BY-SA). You may redistribute it, verbatim or modified, providing that you comply with the terms of the CC-BY-SA.